Home » Blog » Search Engines, How Do They Work? Search Engines, How Do They Work? How many times have you asked yourself a few questions and tried to search it in the internet? A number of times I bet. And what internet tool do you always use? Why search engines of course! As a search engine marketing specialist, we know that people highly use search engine sites to rely on information that they need to know on the web. Here is a simple explanation as to how a search engine works. Basically, search engines use an intricate web analytics system that helps find the topics that you have type in their search window. Search engines work on three basic tasks. First, it searches the internet basic and important words related to a user’s search. Second, it keeps and index of words and they find these words. And lastly, it allows users to use a combination of words that are stored in a search engine system’s index. A intricate computer program that helps search engines is called a ‘spider’. 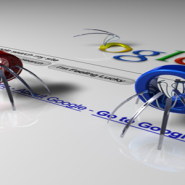 The ‘spider’ is responsible in looking for indexed and important search words in the internet. It is basically called as such knowing that the system “crawls” the world wide web in search for items needed to be seen by a search engine user. Some of the most current and most powerful top search engine can receive at least a thousand to millions of queries in a day. In order to achieve this and be efficient at this, a search engine’s system sends out several ‘spiders’ to complete the search task. That is the reason why each search that you enter in your search engine can be done in less than a second. So whether you use Google, Yahoo!, MSN, Ping or other search engines sites, this is the basic way these things function.